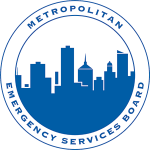 The Metropolitan Emergency Services Board (MESB) was formed by the counties in the Minneapolis/St. Paul metropolitan area to manage the 9-1-1 system at the regional level. The counties recognized that telephone company service areas crossed municipal and county boundaries, there was value in sharing resources, and efficiency in having a single, go-to organization when they needed help with a 9-1-1 issue. Today the MESB assists the metropolitan region public safety answering points (PSAPs) by handling all 9-1-1 contracts between telecommunication service providers, the 9-1-1 Service Provider, the State 9-1-1 Program, and the MESB. The MESB monitors and enforces telecommunications service provider compliance with the 9-1-1 system network and location database standards, ensuring that 9-1-1 calls get delivered to the correct PSAP with accurate caller information. When a 9-1-1 call is received at an incorrect PSAP or the data received contains errors and the PSAP reports the issue via the 9-1-1 ANI/ALI Inquiry Form, the MESB takes the lead in getting the 9-1-1 Service Provider and the appropriate telecommunications service provider(s) to make the corrections within the time frames specified within the MESB standards and contracts. This service allows PSAPs to concentrate their efforts on handling emergency calls rather than working with 35-40 different telecommunications service providers to solve database issues. The MESB recognized the power of using Geographic Information System (GIS) information to assist in providing accurate 9-1-1 call routing and efficient use of public safety responder resources. A regional GIS dataset is maintained and provided to the PSAPs on a regular basis. The MESB GIS Management System analyzes and collects 9-1-1 call location error information in real time from each of the metro area PSAPs. This data is used to assist in keeping the regional GIS dataset and the 9-1-1 location database information accurate and reliable. PSAPs also use the MESB GIS data for their computer aided dispatch (CAD), mapping, and automatic vehicle location (AVL) systems. The use of the MESB GIS dataset in all systems allows for consistent information displays for all responders and reduces or eliminates the expense of maintaining multiple GIS datasets at the local PSAP level. See also: Metro ARMER System for information regarding the MESB role in managing the metro regional radio communications system.